A new, manual transmission variant of the latest Aston Martin Vantage is due to be available later this year, with company CEO – Andy Palmer – confirming production in 2018. It will be the first time a Mercedes-AMG V8 engine has been paired with a manual gearbox, rather than the standard direct-shift gearbox (DSG), so the variant's development is not without its challenges. The decision of Aston Martin's relatively newly appointed CEO to go against industry trends by offering a manual variant is bold, but demonstrates his goal of preserving the traditional transmission option. It's not the first time that Aston Martin has displayed such an intention, as exemplified by the manual transmission V12 Vantage S produced back in 2016. Opinion is divided among some automotive enthusiasts, but talk of the manual transmission variant seems to be welcomed by most. Some love the idea of a traditional manual variant of a brand new Aston, but some feel that manual transmissions have no place in contemporary supercars. The aim of a manual transmission is to generate a more engaging drive, allowing car purists to experience a closer connection with the car, which inevitably attracts interest from old-school car fanatics. Seven-speed manual transmissions have become a rarity in the industry in recent years, but Aston Martin is seemingly devoted to earning kudos from enthusiasts who are calling for the conventional feel to be maintained. Despite a delight amongst many car traditionalists that the manual variant is being made available, the lack of a manual transmission did not deter customers from buying the new Aston Martin Vantage V8 in its original form. The standard, automatic new Vantage followed the DB11 as the second model of Aston Martin's 'second century plan'. The 'second century plan' was a simple proposal made by Aston's CEO in 2016 of how he aimed to transform the company to become genuine competitors against the likes of Ferrari and Bentley, including the launch of seven models in seven years. Aston's Vantage models were immediately successful with pre-orders covering the whole production run of 2018 and a waiting list going into the beginning of 2019. Despite Aston Martin not necessarily having an explicit 'need' to produce a manual variant of the model, it is fast becoming an important part of the brand's identity under Palmer. 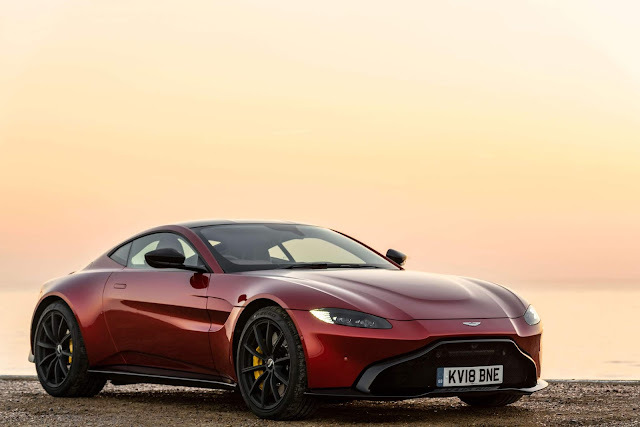 With prices starting at around £120,900 (around $160,000) for the standard version, the Vantage is competing with the likes of the McLaren 540C, Audi R8 and, of course, the Porsche 911 Turbo. All of which are available around the £100,000-130,000 ($130,000-170,000) mark. The manual variant is expected to account for a far lower percentage of sales in comparison to the standard automatic range, and emissions tests will undoubtedly favour automatic gearboxes, but Aston is remaining resolute regardless. 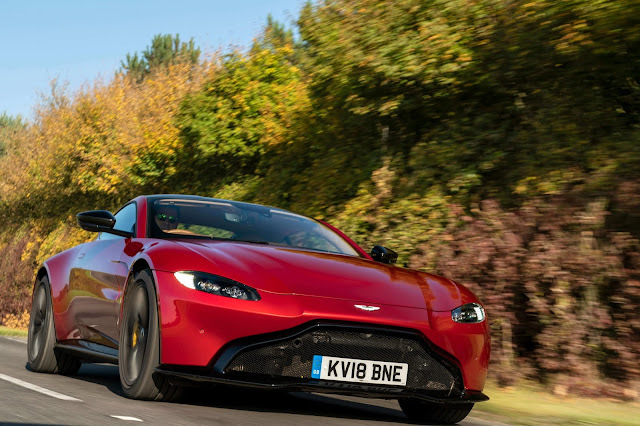 A new variant of the Vantage will need tweaking in terms of both its parts and its tuning in order to work well with the twin-turbocharged 4.0-litre engine, as the 4.0-litre AMG does not come with a manual gearbox elsewhere. The manual variant's gearbox is likely to be seven-speed and the car is expected to be available in the same guises as the standard automatic Vantage from 2018, implying that an S version is imminent. In its standard form, the Vantage produces 503bhp and 505lb ft of torque, less than the 600bhp plus generated by more powerful AMG cars. A manual transmission variant will lose some of the car's performance, at least in terms of the hard numbers, in place for an anticipated greater driving experience. 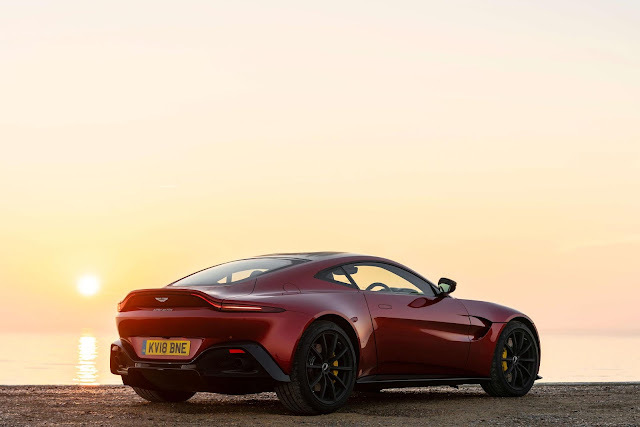 A clutch pedal and gearstick is always going to mean a slight decline in acceleration, so expect the Aston Martin Vantage's 3.6 second 0-62mph time to slow slightly and the 195mph top speed to possibly decrease. Contemporary cars tend to avoid old-school, seven-speed manual transmissions, but Aston Martin is staying true to its commitment to traditionalist car-lovers in recent years. In an increasingly automated industry, we appreciate Aston Martin's passion and dedication to the familiar manual transmission and can see no harm in preserving the choice between manual and automatic cars. It may not be popular for the mass production at the moment, but Palmer and Aston Martin are reluctant to let manual transmission cars fade into the abyss. Be sure to check out our brand new Facebook page!